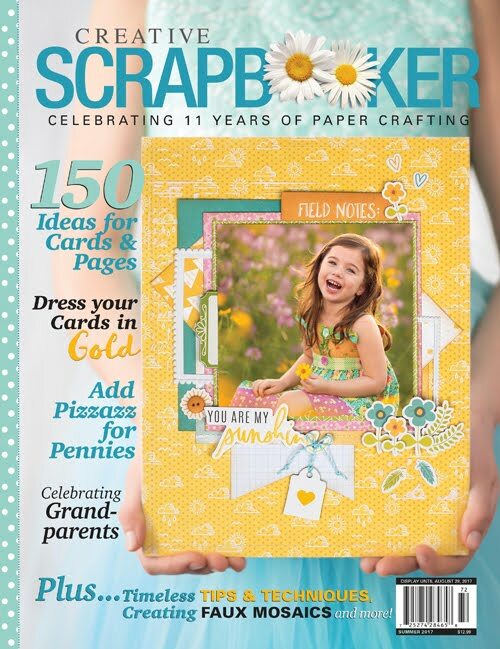 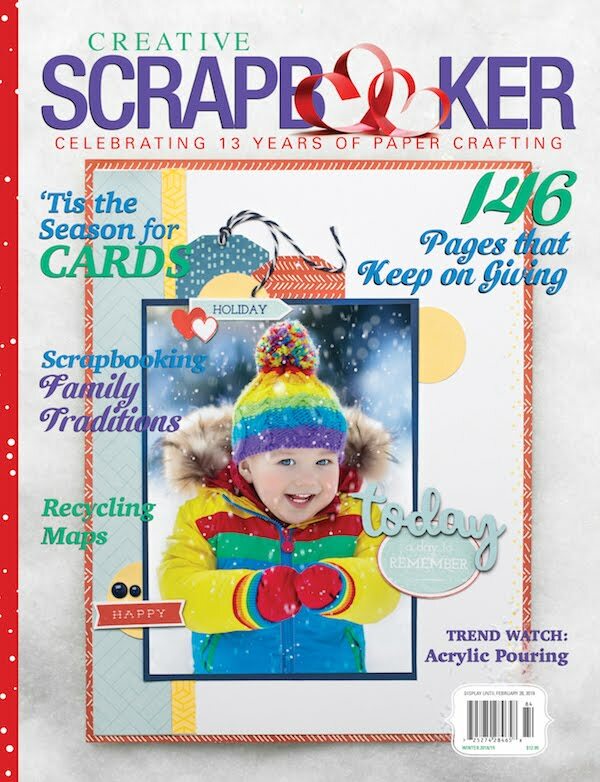 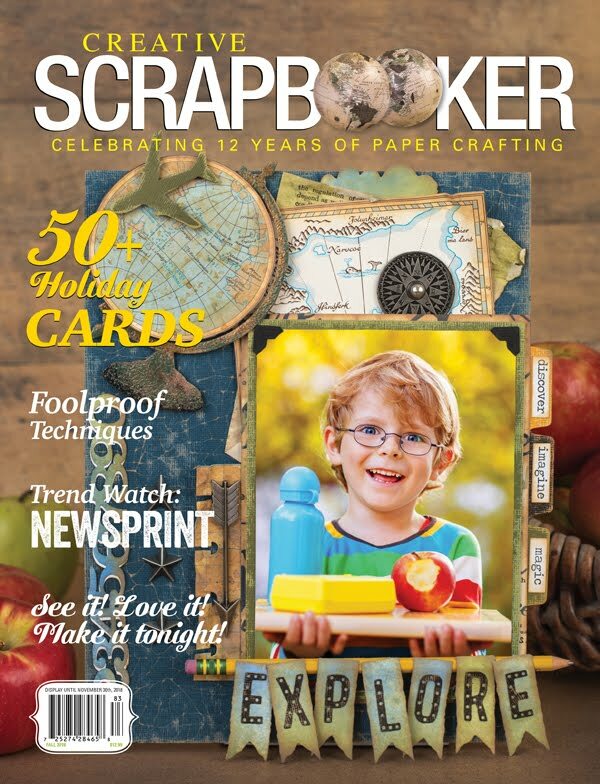 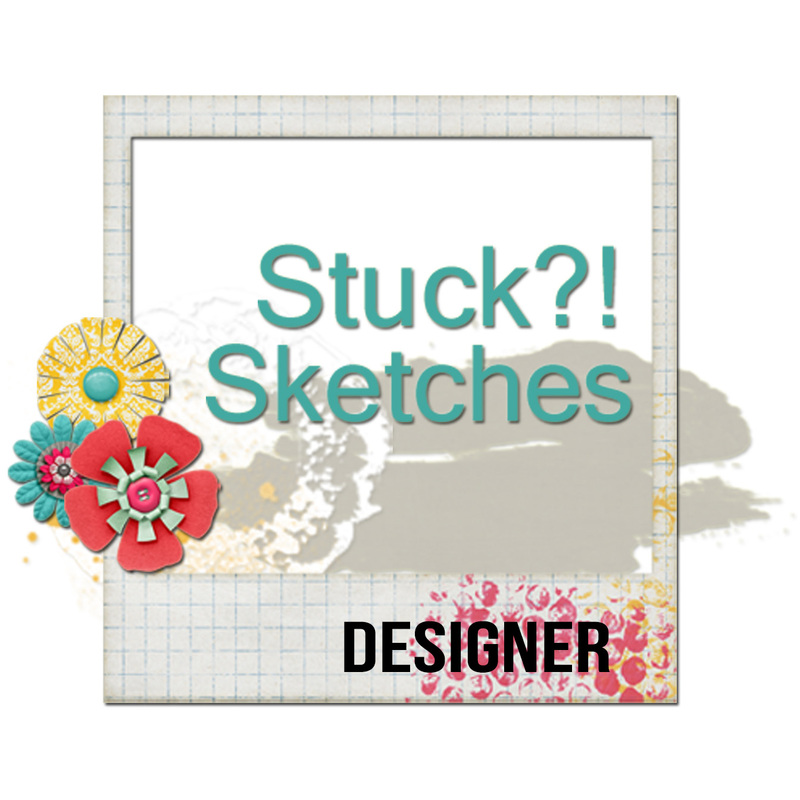 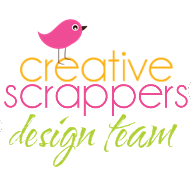 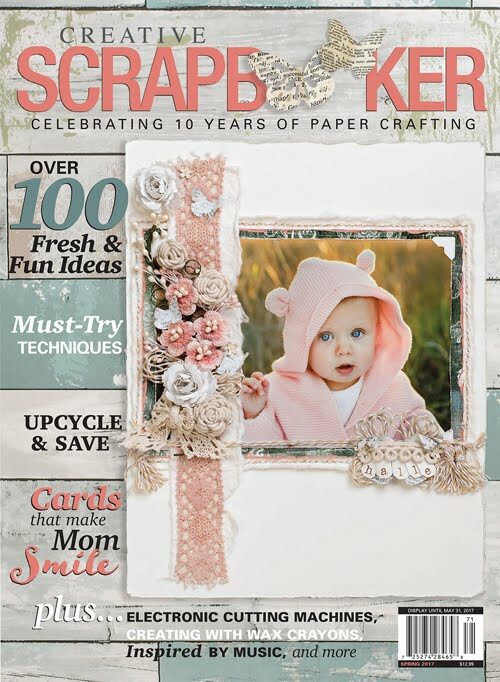 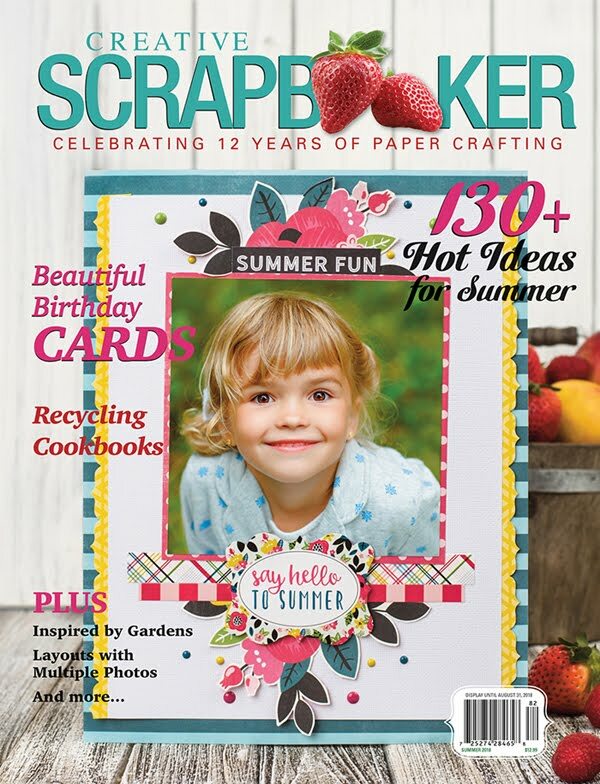 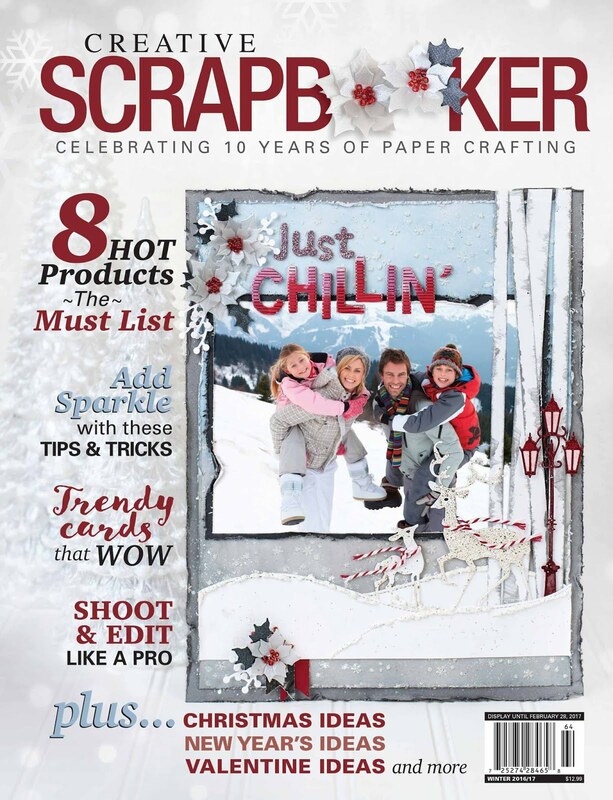 Hello My Creative Scrapbook Fans! 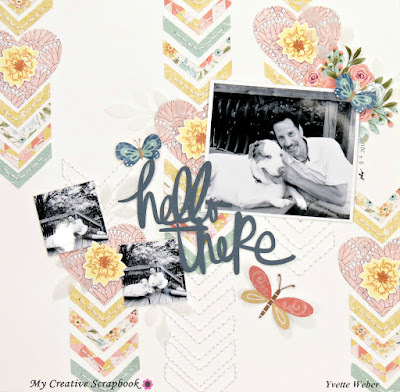 Yvette here, and today I have a fun page I want to share, created with the gorgeous June main kit! 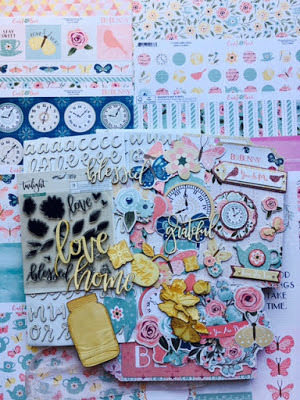 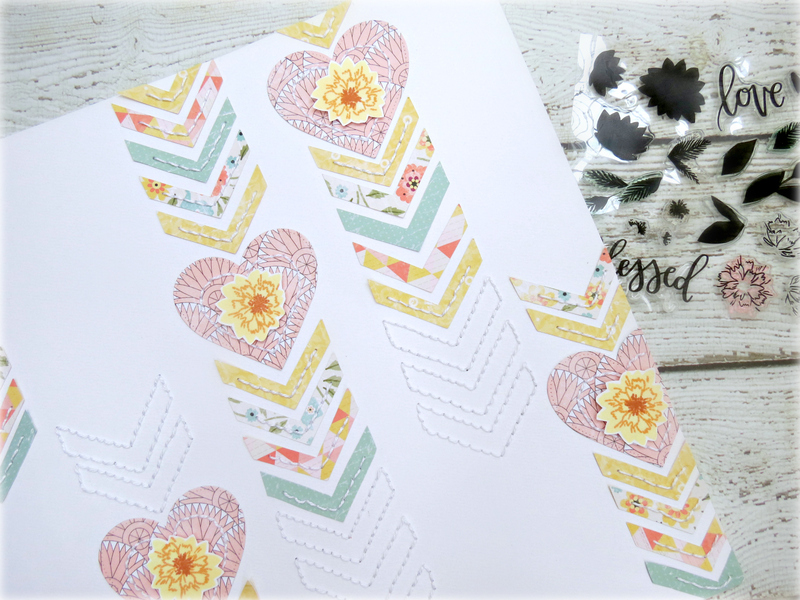 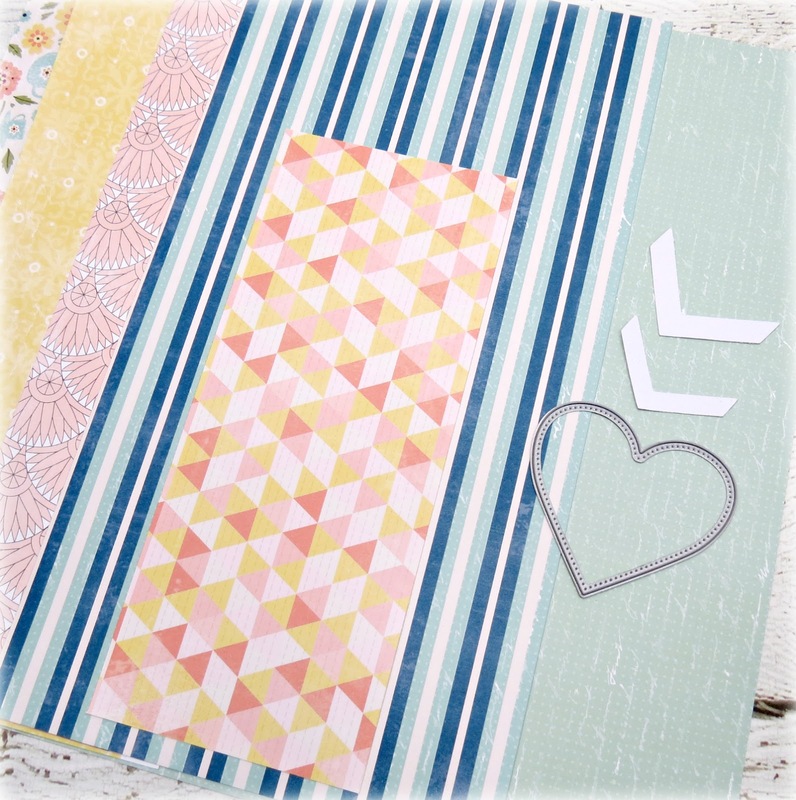 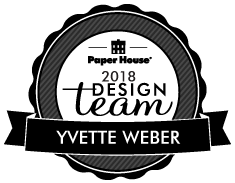 I started by selecting the patterned papers I wanted to use on my layout (I decided later not to use the blue strip paper;) along with a Die-Cut heart, some white floss for my hand-stitching and a chevron template, created from white cardstock. Next, using the chevron template I started tracing the design onto each of the patterned papers and cut them out using a scissors or a craft knife. 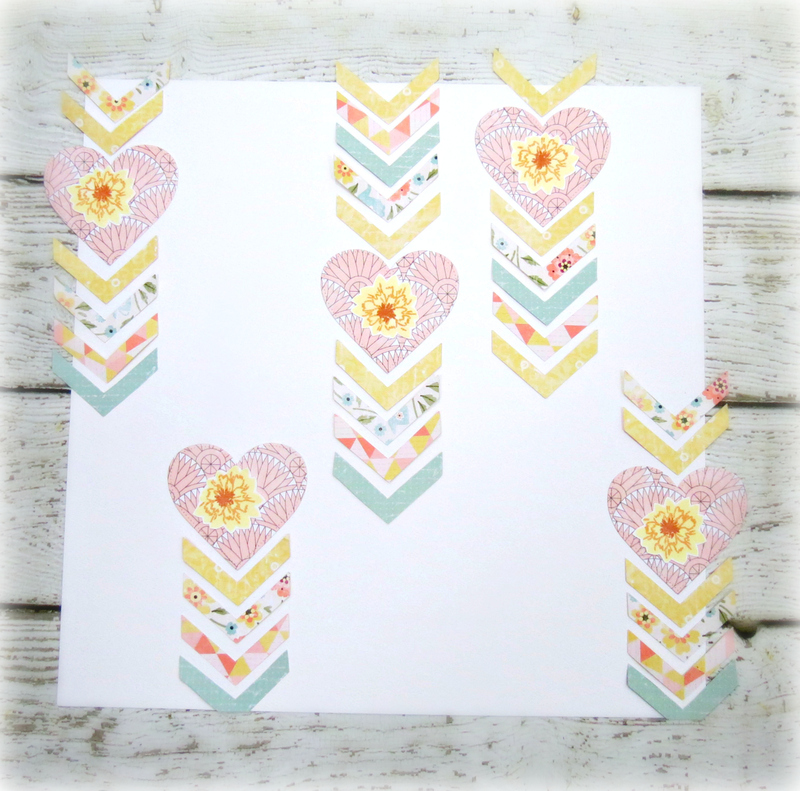 Once I had everything arranged as I like it, I then adhere the Die-cuts hearts and all of the chevrons onto a 12x12 white cardstock. Instead of filling the entire background with the pattern paper chevrons and hearts. I decide to add some texture with some hand-stitching. 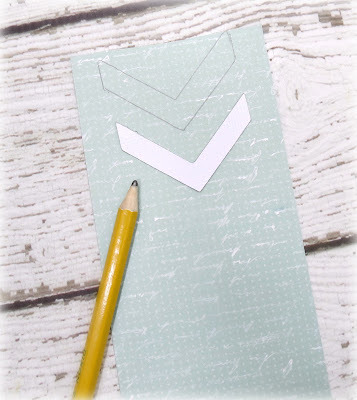 I use a paper piercing tool to piece holes all around the chevron template and added some simple backstitching using white embroidery floss. 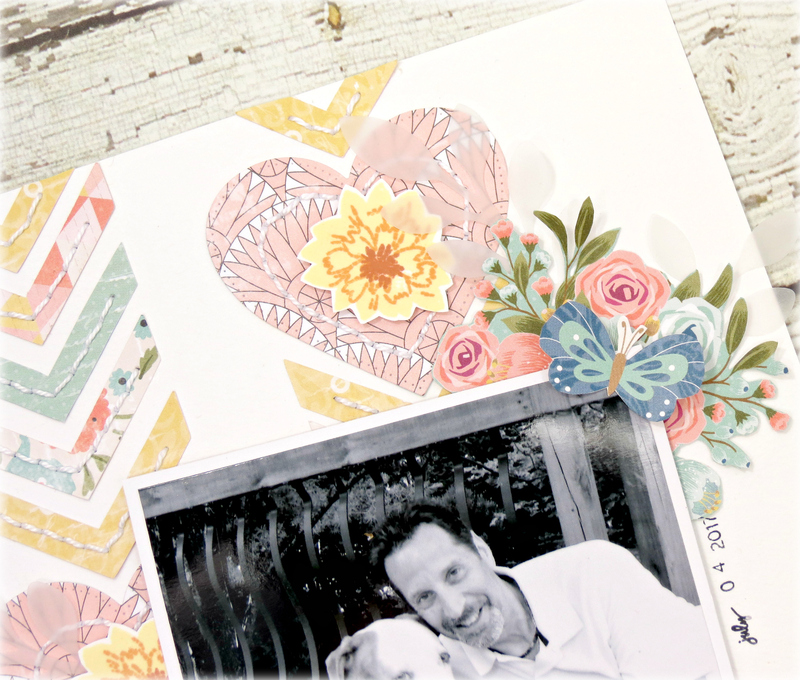 I also use the 1 canoe 2 Twilight stamp set to create a few flowers to place on top the Die-Cut hearts. 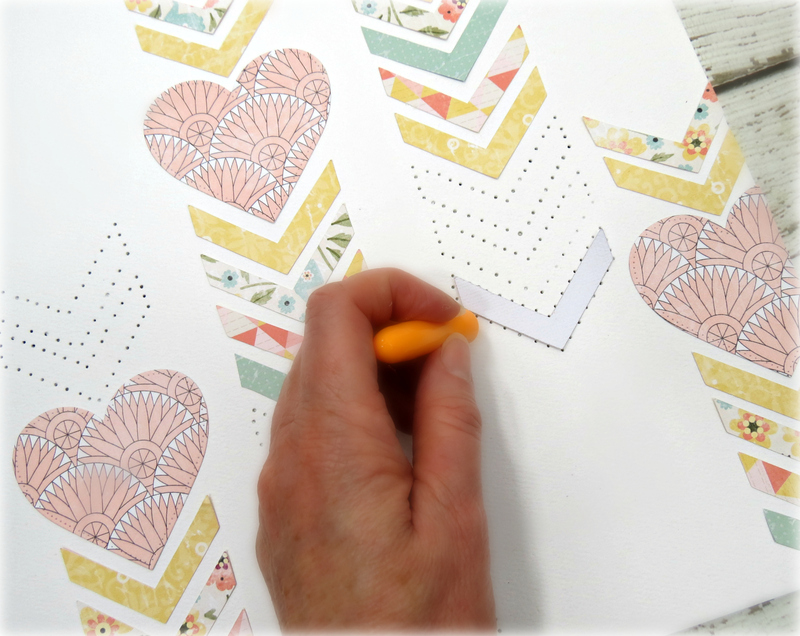 Added a few fussy cut butterflies, a cluster of flowers as well as a few vellum die-cut stems around the page. 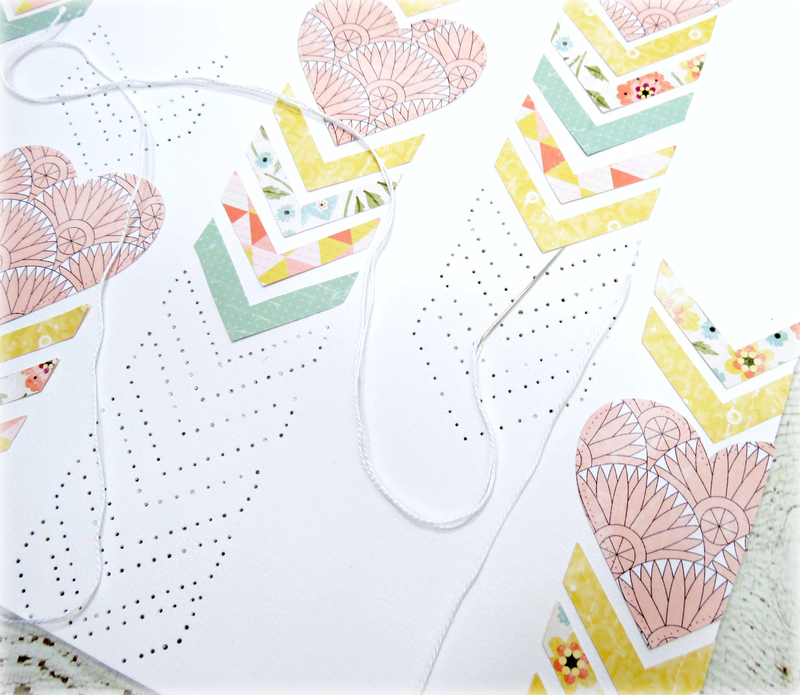 I couldn't help myself from adding some more stitching to my layout :)))) I did this by adding the stitching directly to the top of the hearts and the chevrons. 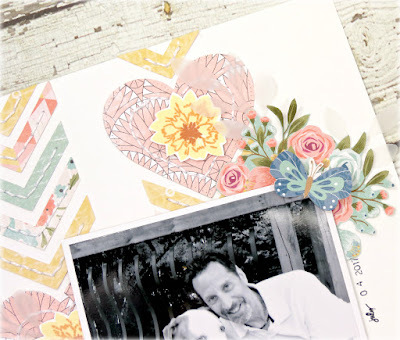 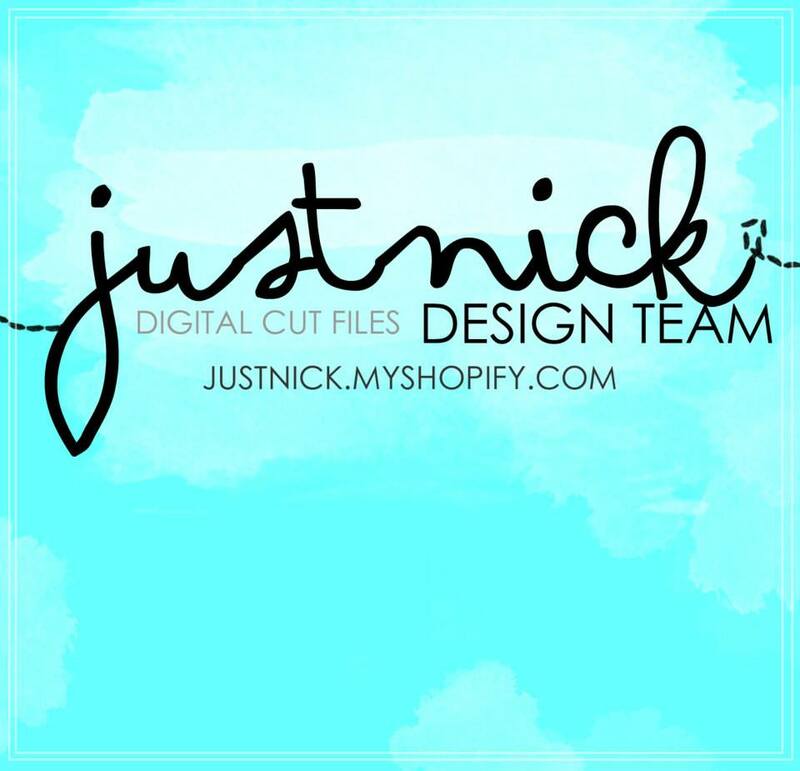 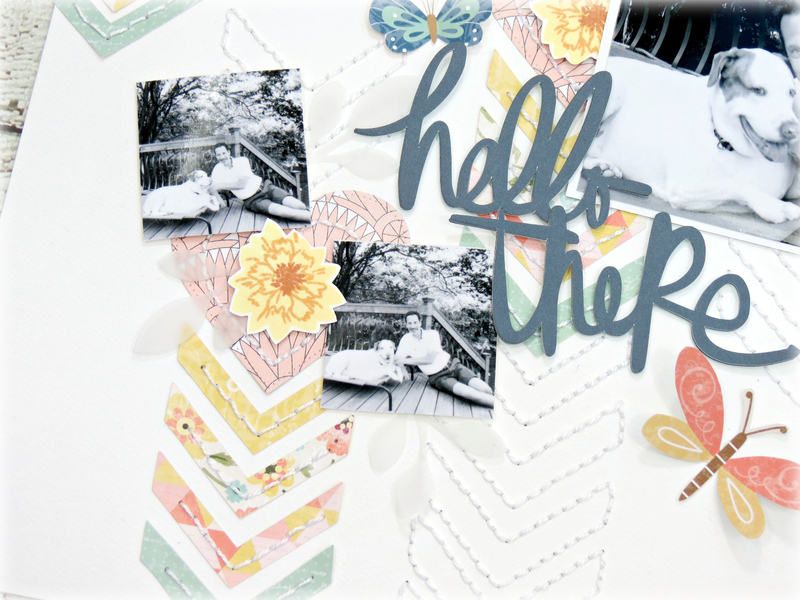 I hope I inspired you today to create something beautiful using the June main kit!